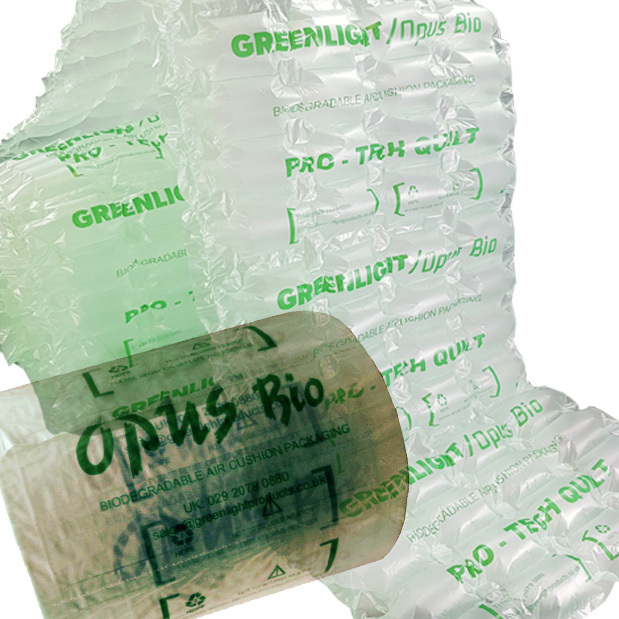 Two rolls of Opus Bio (Greenlight) branded pro-tech air pillow cushion film. Each roll is 400mm wide with 260mm length cushions (4 cushions across per line chamber), and 260 metres long. These rolls are suitable for any of the Greenlight / Green Light / Opus Bio / Opus Air branded air pillow machines. High end top quality Opus Bio branded rolls, manufactured to approximately 25mu polythene film.